The 'COEP ACM Student Chapter' provides students a better exposure to ideas, knowledge, experience, and trends in computing. The Chapter aims in creating interest among the students in computer science apart from what they learn during the course work. 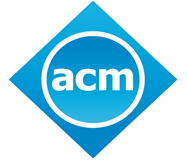 ACM is the world’s largest educational and scientific computing society which delivers resources that advance computing as a science and a profession. ACM provides the computing field's premier Digital Library and serves its members and the computing profession with leading-edge publications, conferences, and career resources.